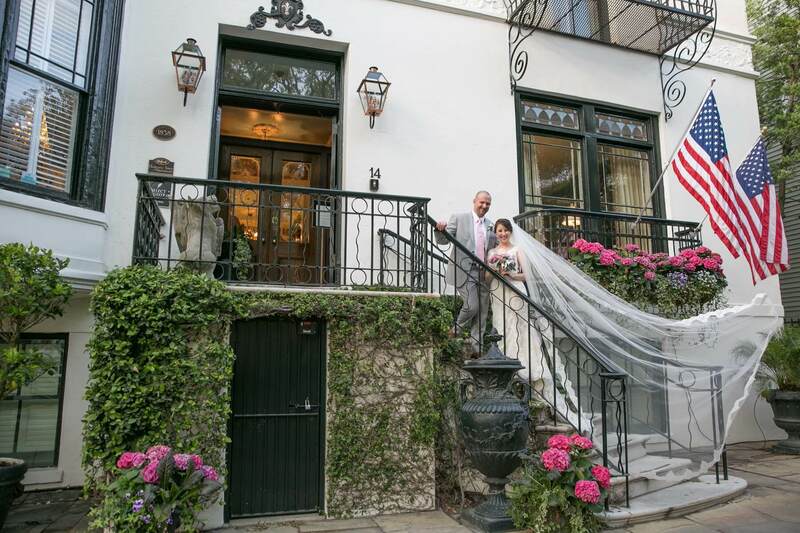 The romantic Ballastone Inn in Savannah is the perfect venue for a small wedding, elopement, vow renewal, or a special getaway for a second marriage. Our small wedding venue options will give you the Savannah feel you are looking for. We have a beautiful, outdoor venue which features our courtyard fountain area, or a fireside, indoor venue in our front parlor featuring “Downton Abbey” 19th century antiques. Both locations are a part of our small wedding packages. Whichever you decide, we will make sure that every detail is covered and your memories will be made for a lifetime. 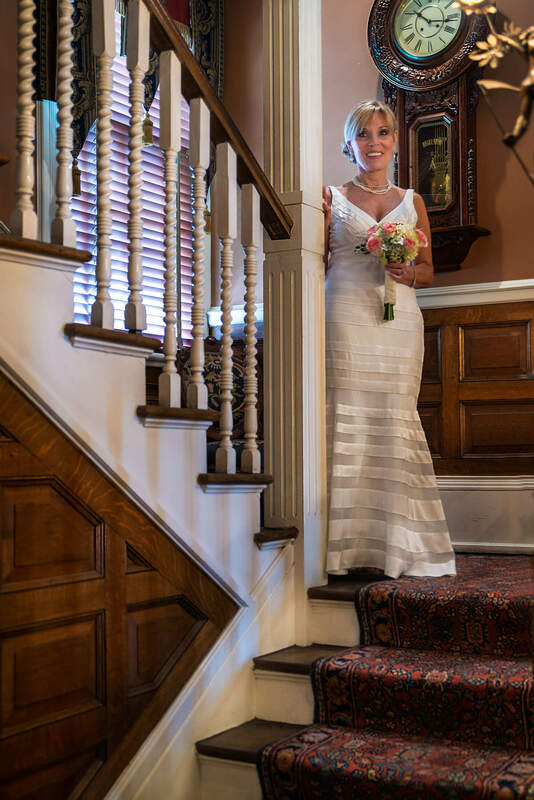 Simply Divine package ($1,800) includes an hour’s use of the mansion for your ceremony, an officiant, beautiful bride’s bouquet of seasonal flowers and a coordinating boutonniere. This package also includes a small wedding cake with flavor, color, and decoration of your choice, a bottle of champagne for toasting, and a rose petal turndown in the evening. For your accommodations, the package price also includes two nights in one of our three Luxury Suites (Victoria, China Trade, or Gazebo). Southern Indulgence package ($2,100) in addition to the above includes a private carriage ride that will pick you at the inn or after dinner at the restaurant of your choice. Coordinating with the carriage company will be handled by our concierge. This package also includes a $100 gift certificate to make sure your dinner is the finest we can recommend in Savannah. To finish off your most romantic evening, we will provide a split of prosecco with chocolate truffles or chocolate covered strawberries at turndown. Package price includes room rate. In addition to the above packages, upgrades are available. 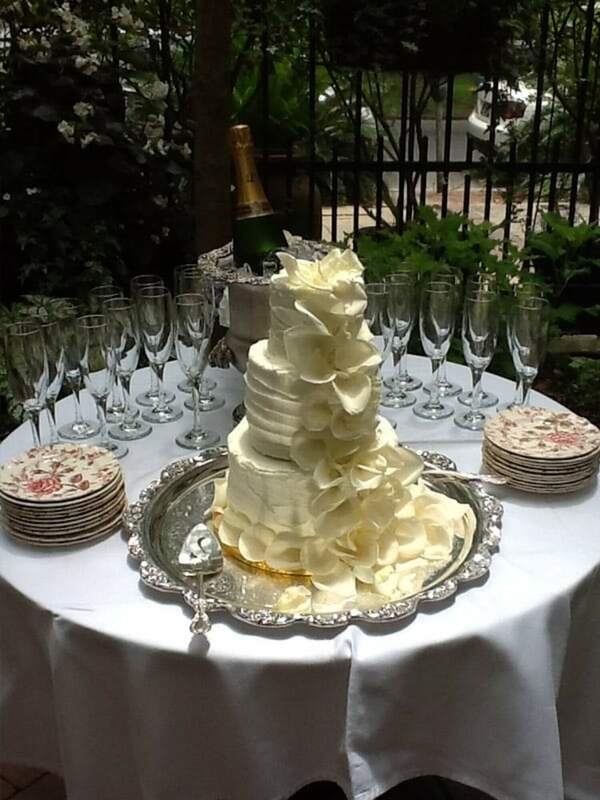 Custom bouquets, additional flowers, light hors d’oeuvers, intimate/small dinner parties can be arranged with a wedding planner, recommended by Ballastone Inn. 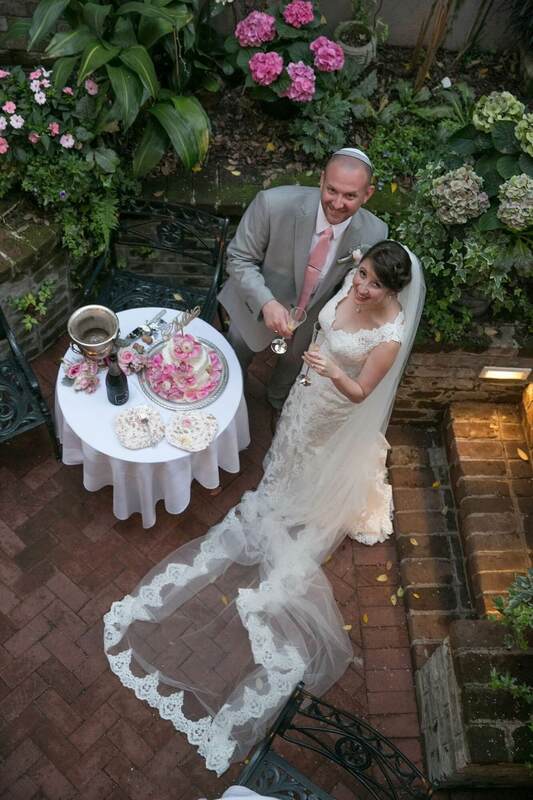 If you are looking to have a small wedding or elopement in Savannah we would love to help assist with our packages. Being an intimate inn, our events like weddings must be small in size. Celebrations in our front parlor venue are limited to 6 attendants, and our beautiful courtyard venue is limited to 20 attendants. The limit on attendants will ensure an intimate yet comfortable venue perfect for an elopement or small wedding. Ceremonies are best between noon and 2 PM to insure that your special day is not interrupted and to best share the space with our current guests. Please contact us if those times do not work for your small wedding or elopement as other arrangements can be made. Everyone wants to capture their most memorable moments, therefore we offer some of the best photographers in Savannah to choose from. We have worked with all of the following, and know their talents first hand. Listed below are different photographers with a range, of styles and price points. We have listed their contact information and websites for you to experience what each photographer has to offer. Due to our small size, we are restricted in the front parlor. The courtyard provides more space. We also require all guests of the wedding to be guests of the Ballastone.